Visitors looking to visit the Kennedy Space Center’s Vehicle Assembly Building have only a few more days left, as they will end their up-close tour of the VAB on February 11. The VAB tour has been available for more than two years and is part of the KSC Up-Close Mega Tour, also ending Feb. 11, which includes a visit to Launch Pad 39-A. The reason given for the tours ending is that KSC is preparing for modifications needed as the space center changes into a multi-user spaceport and preps for the Space Launch System. 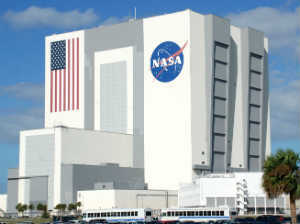 One of the largest buildings in the world, the VAB had been off limits to visitors for more than 30 years until the Up-Close tour was added in November 2011. For the first time since 1978, guests at Kennedy Space Center Visitor Complex have had the chance to disembark their tour buses and tour inside the VAB to see firsthand where monstrous vehicles were assembled for launch, from the very first Saturn V rocket in the late 1960s to the very last space shuttle, STS-135 Atlantis, in 2011. Tours of the Launch Pad and Launch Control Center are continuing at this time, but both are also subject to potential KSC efforts for SLS and commercial space programs, according to the news release. Kennedy Space Center Visitor Complex opens daily at 9 a.m. with closing times varying by season. Admission is $50 + tax for adults and $40 + tax for children ages 3-11. The Kennedy Space Center Visitor Complex offers annual passes starting at $75 + tax for adults and $60 + tax for children ages 3-11. For more information, call 877-313-2610 or visit www.KennedySpaceCenter.com.